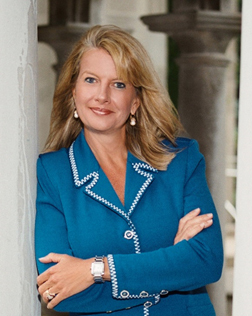 When author and lawyer Charlene Quint decided in 2012 to start her inspirational giftware company, The Blessing Collection, she wanted to include beautiful, timeless, tasteful elements that would evoke sentiments of history and agelessness with each blessing. As a lover of all things elegant and beautiful, she traveled to Florence in April of that year to survey the world of Italian papers. In addition to choosing Old English text, parchment, and stately elegant picture frames, she chose Rossi’s traditional Florentine papers in which to display each of her 75 original framed blessings. 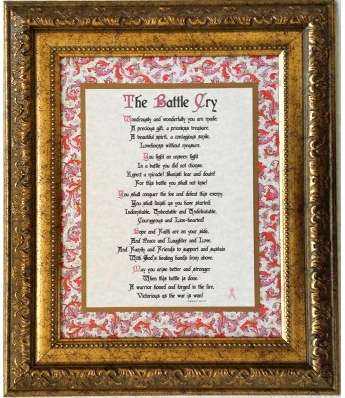 The Blessing Collection offers original framed blessings written by Charlene along with traditional Irish and Catholic blessings to celebrate the people we cherish and the moments that we treasure. For the people in our lives who bless us, The Blessing Collection offers blessings for families, parents, grandparents, children, siblings, friends, teachers, physicians, nurses, those who serve in the armed forces, and many, many others. For those entering into marriage, welcoming a new baby, moving to a new home, celebrating a birthday or anniversary, graduating, struggling with a serious illness, or grieving a loss, this exquisite collection invites heavenly blessings in all of life’s special moments. Each blessing can be personalized with the name or names of the recipient(s). Charlene uses Rossi’s CRT 001 in most of her traditional style blessings. “The multi-colored design goes with everything and is reminiscent of illuminated manuscripts from the age of the Renaissance. The gold flecks in the paper pick up the gold in the frames and gold border – it makes a really stunning gift!” glows Charlene. Charlene uses Rossi’s CRT 013 (a pink design) in her traditional style blessings for girls, and CRT 014 (a blue design) for traditional blessings for boys. Framed blessings range from $55 to $105, depending on size and style. 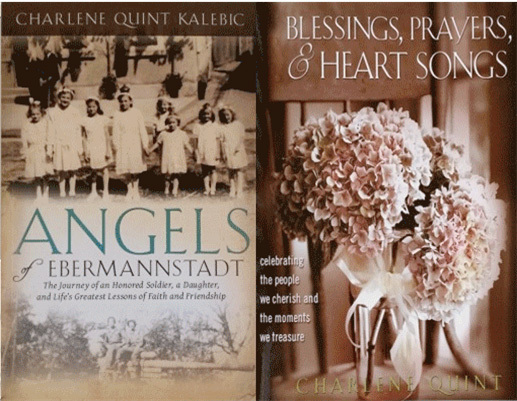 A collection of all the blessings was included in her book Blessings, Prayers, and Heart Songs, published by Deep River Books in 2014. Charlene wrote her first blessing in 2002 when she was invited to two weddings of four dear friends. She took a look at their wedding registries and was uninspired by the seemingly endless list of towels, dinnerware, and designer kitchen appliances. She knew that both couples would be successful in their respective careers, and would be able to purchase as many designer appliances as they wanted. She wanted to give them something meaningful, memorable, and heartfelt. What she really wanted to give them was something that they, and every couple, needs – a happy, loving, fulfilling marriage filled with love, joy, peace, patience, kindness, understanding, wisdom, prosperity, and good health. “But of course, that was not mine to give. That is God’s to give,” says Charlene. And so, late one night, Charlene sat down in the study with a Bible in her left hand and a pen in her right, and wrote a blessing asking the Lord to bless them with all the wonderful things that He had designed for them in marriage. 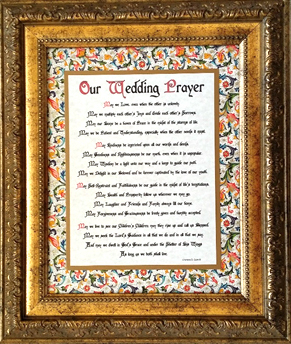 She framed “Our Wedding Blessing” and gave it to them as a wedding present. And thus began the first of many blessings that eventually blossomed into The Blessing Collection. Charlene so admires Rossi’s elegant traditional Florentine papers, that she used them when hand-making her own wedding invitations in 2015. 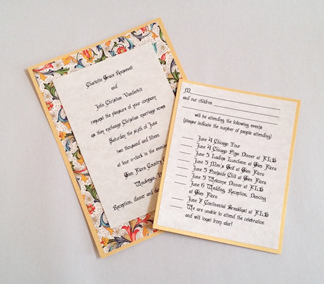 Custom wedding invitations using Rossi paper are now offered by The Blessing Collection. In addition, Charlene has been commissioned to write unique blessings for various church groups, orders of sisters, schools, clergy, and an archbishop. The Blessing Collection is available online at Amazon, where 935 products are offered, on the website www.blessingsframed.com and www.theblessingscollection.com, and in specialty gift shops around the country.